On November 29, 2018 Austin City Council unanimously approved a one hundred year plan, the Water Forward Integrated Water Resource Plan (Water Forward IWRP) for city water use. 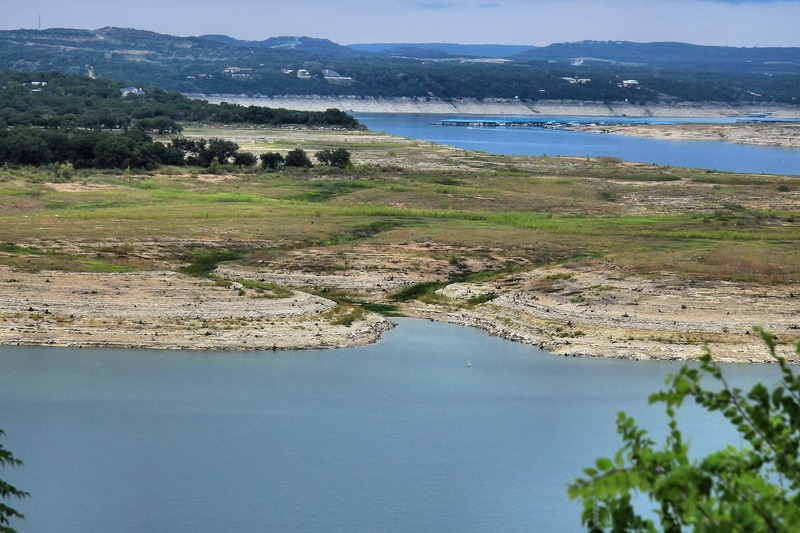 Officials from Austin Water, the city’s public water utility, called it “the most important water plan that’s been produced in the United States”. The plan is unique because Austin is the only city in the country with a plan to ensure accessibility to water far into the future without taking water from another community. It’s also the first water supply plan in Texas to incorporate climate change into its future projections. Water Forward estimates the new strategies could cost $429 million over the next twenty-one years. Other water system initiatives and capital upgrades during that time are estimated at $614 million. This plan has been in the works since 2014 when, during the recent historic drought (2008-2016), City Council convened the Austin Water Resource Planning Task Force to make recommendations regarding future water planning and to evaluate potential water resource management scenarios for Council’s consideration. The Task Force submitted their report in July 2014, with recommendations on demand management and water supply strategies. Their key recommendation was the development of an integrated water resource plan. In December, 2014, Council created the Austin Integrated Water Resource Planning Community Task Force (referred to as the Water Forward Task Force) to support the development of the integrated water resource plan. The plan recommends using Advanced Metering Infrastructure technology, also known as smart meters, to alert customers to potential leaks, and to help them manage their water consumption in close to real time. This year, Austin Water will begin an $80 million dollar three-year process to change every water meter in the city. When completed, Austin Water customers will have access to their bills, water use information, and emergency alerts on their cell phones. Water Forward recommends that Austin Water expand its utility-side programs to prevent, find, and fix leaks, and to improve response time to active leaks between the water treatment plant and the end user. Austin currently has existing landscape transformation requirements for commercial and multi-family properties. The plan recommends enacting a new ordinance requiring the installation of water efficient landscapes with new single-family residential developments. Implementation of this strategy could result in turf grass area, irrigated area, and/or irrigation area limitations. The current WaterWise Landscape rebate offers $35 for every one hundred square feet ($0.35/square foot) converted, with a maximum rebate of $1,750 per property. So far, the program has a low participation rate. The strategy recommends exploring the increase of WaterWise Landscape rebates for single-family and multi-family residential properties, as well as introducing a new WaterWise landscape rebate for commercial property beyond the City of Austin Land Development Code requirements. Outdoor water use comprises over twenty two percent of the water currently consumed by Austin Water customers, with most of that water used for landscape watering. Over 89,000 homes and over 5,000 businesses have irrigation and sprinkler systems, which often are programmed to turn on at certain times of the day without regard to weather or plant water needs. This plan strategy focuses on expanding existing Austin Water rebate programs to include rebates for irrigation system smart controllers, and other system improvements. Improved controllers decrease water consumption by responding to leaks, high pressure, soil moisture, and by making flow data accessible. Decentralized lot scale reuse — including onsite generation, treatment, and reuse of alternative waters to include rainwater, stormwater, graywater, air conditioning condensate, and highly treated wastewater effluent. Decentralized community scale reuse — including collection of alternative waters to include stormwater and wastewater effluent from a cluster of homes or businesses, treatment at locally sited stormwater facilities, distributed wastewater treatment plants or sewer mining facilities, and reuse via a reclaimed water distribution system that would be separate from the centralized reclaimed water system. Centralized reclaimed water system — including collection of wastewater effluent, treatment at a major wastewater treatment plant, and reuse through connection to the City’s centralized reclaimed water distribution system. All alternative waters recommended in Water Forward are intended to meet non-drinking water demands, and are recommended to be backed up by the City’s drinking water distribution system. Aquifer storage and recovery (ASR) is a strategy in which water (potable drinking water) can be stored in an aquifer during wetter periods, and recovered for use during drier periods, such as drought. Storing water underground avoids water loss due to evaporation that occurs in surface water storage. The Water Forward plan includes a recommendation, to be in place by 2040, to pipe treated drinking water from the City of Austin’s water distribution system to an aquifer storage and recovery well field for injection and storage in the Carrizo-Wilcox Aquifer. During drier periods stored water would be recovered and piped back into the City’s water distribution system. Austin Water provides highly treated wastewater (through a purple pipe reclaimed water system) for nonpotable uses such as irrigation, cooling, manufacturing, and toilet flushing. The Water Forward plan includes expansion of the existing reclaimed water system and reclaimed water use by 2040 to provide more than three times the amount currently used for meeting nonpotable demands. Indirect potable reuse is the use of an environmental buffer, such as a river, to discharge highly treated, reclaimed water, before it’s treated at a drinking water plant. As part of Water Forward’s recommendations, indirect potable reuse would be utilized as a deep drought strategy. If the combined storage of lakes Travis and Buchanan reach levels less than twenty percent, highly treated reclaimed water would be conveyed from the South Austin Regional Wastewater Treatment Plant to Lady Bird Lake. The water would be pumped from Lady Bird Lake to be treated to drinking water standards at Ullrich Water Treatment Plant. Elements of the infrastructure used in indirect potable reuse will serve multiple functions. Apart from being used for indirect potable reuse during deep drought, most of the infrastructure will be used for other purposes on a more regular basis. Some elements would be used to capture available water flowing into Lady Bird Lake from creeks and springs. This water would also be conveyed to Ullrich Water Treatment Plant. Other elements would be used to provide reclaimed water as part of the purple pipe reclaimed water system. This Water Forward recommendation would involve the construction of a new 25,000 acre-foot off-channel reservoir in the Austin area within the next fifty years. An off-channel reservoir is a water storage body constructed near a river. Water can be pumped from the river into the reservoir during wetter periods of rainfall, and used as drinking water during drier periods, such as drought. A lake evaporation suppressant, such as a thin layer of food-safe material, would be applied in the summer to reduce water loss due to evaporation. Brackish groundwater desalination is recommended in Water Forward for the 2070 planning horizon as a possible potable water supply diversification strategy. You can access a summary of the Water Forward Plan here. Water conservation continues to be as important as ever. To ensure that your sprinkler system is operating a peak efficiency, call South Austin Irrigation at (512) 534-7449 for all your repair, maintenance, and upgrade needs. Originally a Wyoming native, Matt moved to Austin, TX after graduating with a Bachelors of Science from Kansas State. He spent several years working for a couple of large landscaping firms before starting up South Austin Irrigation. "Starting my own company has been the hardest, most challenging, and honestly, the scariest thing I've ever done. I love what I do and I'll do it for as long as people want me to help them with their irrigation systems."